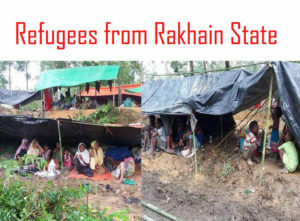 Bangladesh experiences small and large scale disasters almost every year and it has a spiral relationship with poverty. Disaster-affected community can be developed if they are made able to enhance their resilience by mainstreaming the disaster risk reduction measures into their day to day works and make a timely and effective response when these disasters hit them. In 2015-16 Fiscal Year the country encountered a good number of large scale disasters such as Cyclone Komen, Flood-2015 and Cyclone Roanu. Cyclone Roanu hit southern districts of Bangladesh namely Chittagong, Cox’s Bazar, Bandarban, Patuakhali, Bhola, Barguna, etc. 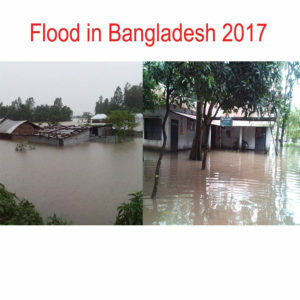 and riverside floods hit in Kurigram, Gaibandha, Jamalpur and Sirajganj districts as well as small scale disaster i.e. Flash flood in Sherpur, Cold wave in Rajshahi and hailstorm in Meherpur district. Following these disasters Caritas Chittagong, Mymensingh, Barisal, Rajshahi and Khulna Regional Offices implemented emergency food and unconditional cash distribution activities, cash for works, water, sanitation and hygiene support activities, etc to assist disaster affected people for meeting the basic needs. Under these emergency response program Caritas covered 1,215 disaster affected families. 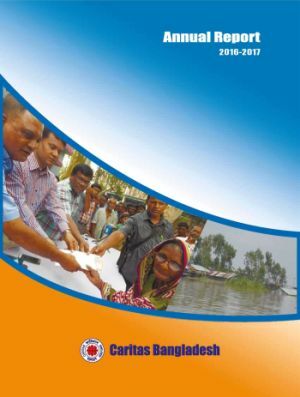 In compliance with the strategic objectives of disaster management sector, Caritas Bangladesh implemented 15 different types of projects with 344 (regular-90) staff members. Out of 15, three (20%) projects were for emergency response and early recovery, seven (47%) were for disaster risk reduction, two (13%) for mainstreaming DRR into development works and three (20%) for capacity building in disaster management of different DRR and ER projects. 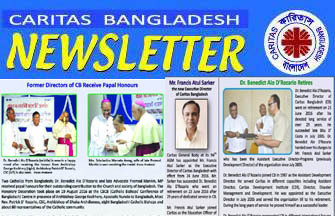 For Caritas Bangladesh, this year was another milestone in the history of disaster management works. 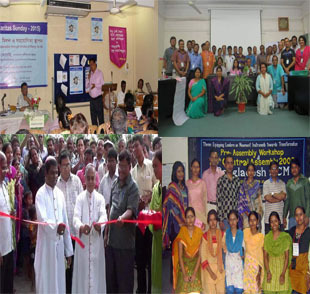 Caritas Bangladesh, with the support of CAFOD, got the membership of START Network. 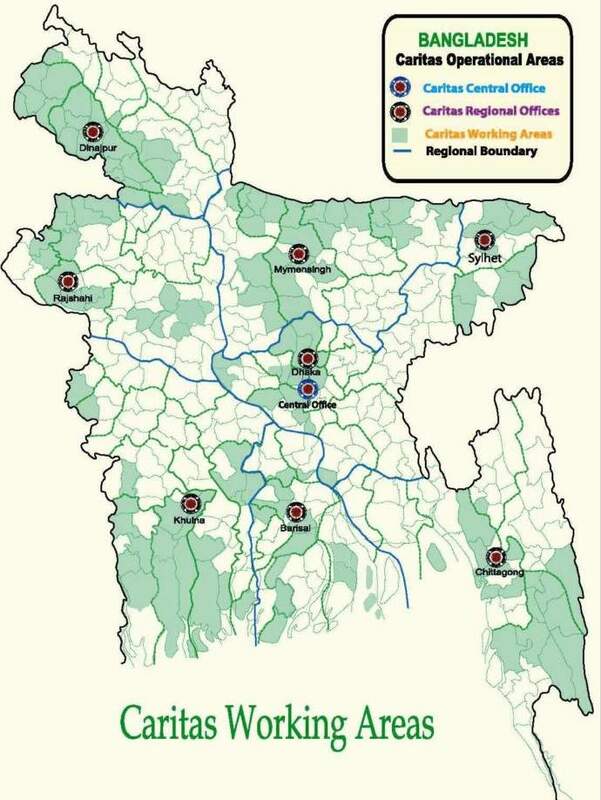 This network allows Caritas Bangladesh to bring in its expertise, directly access funding opportunities, gain from capacity strengthening support, and most importantly, make sure southern voices are heard in the global forums. Ultimately, these factors help Caritas to increase its ability to respond quickly during a crisis. Globally this network is functioning in 200 countries where a total of 39 leading humanitarian organizations are implementing their actions through 7000 partner organizations.